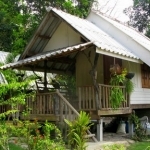 As you move beyond the central area and down to the south west beaches of Ao Takian, Ao Klong Hin, Neverland (Ao Jak) and Ao Phrao, the Koh Kood resorts and bungalows become what is nowadays termed destination tourism. 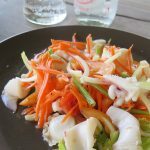 Being so far down the island and with just a smattering of shops and outside restaurants to call on, you will be spending most of your time at your resort and its beach, certainly not popping out in the evening for something to eat or to hit a bar. Yet, the resorts can make excellent choices for a couples’ getaway or for a group of friends to just hang out and the beaches are fabulous affairs. You can also easily rent a motorbike to get out and about exploring during the day. Ao Takian, a lovely wild stretch of beach has one of Koh Kood’s best 4 star resorts in the luxurious Cham’s House, prices for villas at 5,000bt upwards. 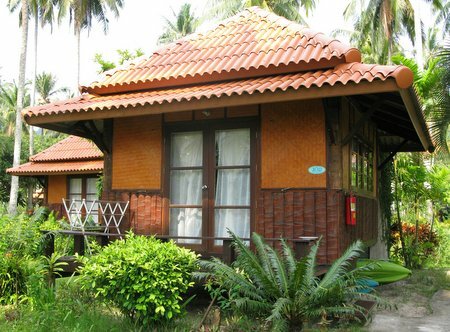 The charming old style bungalows of Pa Hin Sai, 1,000bt a night or thereabouts, sit next door, with nothing else to trouble your thoughts bar the coconut trees, sand and sea. 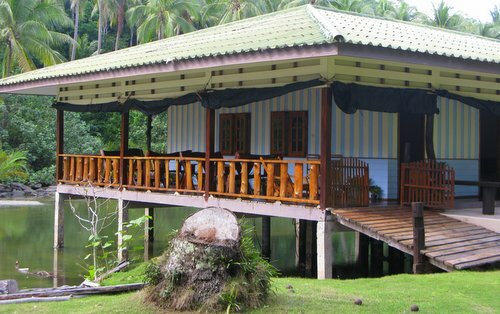 Two backpacker operations have sprung up nearby off the main road, the excellent Eve House, with its offshoot Wooden House next door and the small basic Rung Aroeng. Simple fan rooms with cold shower come in at 500bt. Further down the coast, Klong Hin Beach and its self named resort is popular with Russian tours, but Montana Huts at the far southern end is a sweet spot, prices around 1,500bt for a fan room. Ao Jak or Neverland Beach once again picks up the J.M.Barrie connection so beloved of Koh Kood, though this time with a more 2/3 star affair in the form of Neverland Resort, good wooden bungalows from 2,000bt a night, though perhaps showing their age a little. A small homestay at the northern point is all it has for company. That leaves the final beach in the far south west, Ao Phrao, which can count just four resorts along its long undeveloped beachfront, Rest Sea Resort, Ao Phrao Beach Resort, I-Lay House and Sunshine Resort. The new Rest Sea Resort is located at the northern end of the beach by the tiny village, offering standard double villas and a couple of pool villas from 3,900bt a night. Next door, For Rest Boutique House, is now closed to guests and used as staff quarters for the main resort. 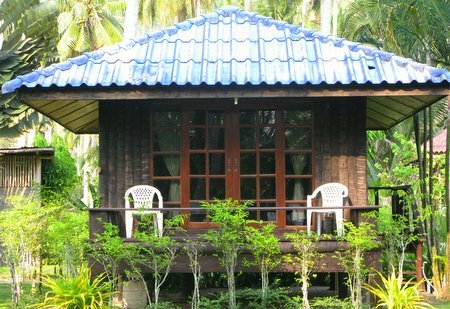 Along the sandy trail that follows the river behind Rest Sea, there is also a nice chilled out homestay tucked away on the mangroves, Gumm Lonely Club, 5 minutes walk from the beach. There is also another development taking shape now beside Rest Sea Resort. 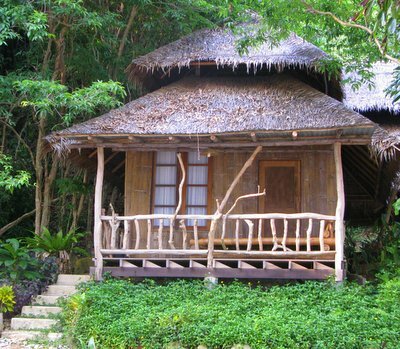 Ao Phrao Beach Resort in the middle of the beach plays host to Russian tours and Thai packages, whilst alongside, I-Lay House, has two rows of well priced bungalows right on the sand from 1,700bt per night. The deservedly popular Sunshine Resort, in its fabulous location at the far southern end, provides rooms from 1,750bt a night. As you come into the area past the temple, Lee Red House has a 4 or 5 bungalows at 1,500bt a night. At the northern end of Ao Takian Beach, luxury boutique resort of octagonal villas with plunge pools in the gardens and a small hotel style block at the rear. Infinity swimming pool, restaurant, beach bar. Spa. Very peaceful. At the northern end of Ao Phrao Beach on the beach, new resort with standard double villas and some pool villas either side of a central path in a private lawned area . Restaurant and swimming pool at the front by the sand. At the far southern end of Ao Phrao Beach, wide selection of 26 a/c and fan rooms, seaview, garden and family style, all set in a pretty garden with restaurant and beach bar. Fishing and snorkeling trips arranged. Right on the sand. Small resort at southern end of Klong Hin Beach over the little bridge, well designed and equipped a/c or fan rooms on the canal behind, all with balconies. Bar/restaurant on the headland, three more simple rooms attached. Romantic spot, would suit couples. 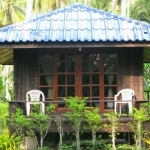 In the middle of Ao Jak or Neverland Beach, garden, river or seaview bungalows, fan or a/c. Good restaurant also backing onto the river, small coffee shop and bar, very scenic and relaxed spot. At the northern end of Ao Takian Beach, right on the sand and up onto the headland. 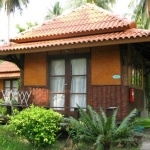 Wooden fan bungalows with bathroom, good restaurant, small beach bar. A laid back friendly spot. Towards the middle of the beach, nice new resort with 2 rows of wooden style bungalows and 2 concrete units, a/c with hot water showers and balconies. Restaurant and bar, kayaks, hammocks, friendly owners. Wifi. Backpacker bungalow resort set back from the road. 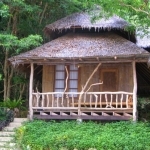 19 rooms, mixture of fan with cold or fan with hot water, plus a couple of larger style with a/c, tv and fridge. Taleh bar and restaurant, motorbike rental. 15 minutes walk to the beach. With its friendly Thai host, a nice hangout. At the northern end of Ao Jak or Neverland Beach on the river by the bridge, Thai style homestay of 6 fan rooms with bathroom in a lovely wooden house on stilts over the water. No restaurant but Neverland Resort just next door. 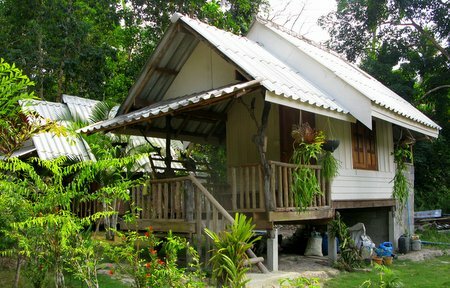 Converted fisherman house at the northern end of Ao Phrao up on the river, just 2 rooms for homestay. Kitchen facilities or meals available too. Friendly Bangkok couple host this relaxed artsy hang-out. In the middle of the small bay, fan and a/c bungalows fronting the sea and on the grass behind. Almost exclusively for Russian packages. By the main road as you head away from the Ao Takian turning towards to Ao Jak. 5 or so simple wooden fan bungalows with bathroom attached. Restaurant. Would need your own transport. Another backpacker choice at this end. 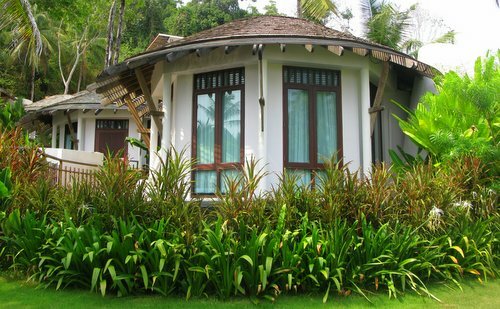 Large resort in the middle of Ao Phrao Beach with fan and a/c bungalows in different styles. Restaurant, garden, beach bar. 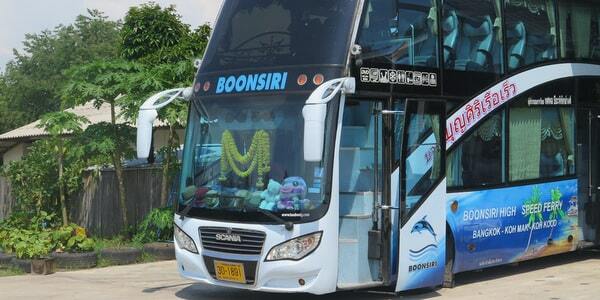 Popular with Thai and Russian packages. 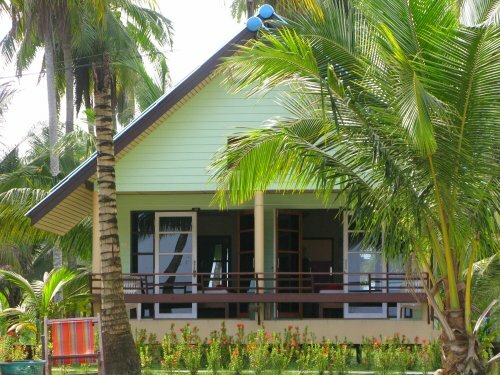 At the start of the beach, small handful of simple bungalows with ensuite bathrooms on a grassy area with restaurant on site. 300 metres or so walk through the long grass to the beach.